Here you can find all the Spanish courses in Amsterdam of Language Corner. We offer Spanish group courses, conversation courses and Spanish private lessons. Join our Spanish group courses to learn with other students in a fun environment! 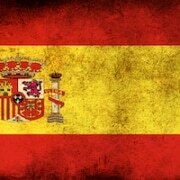 We give Spanish lessons in small groups (4-8 students) and students always have the same level as you have. You will not only use the books, but our crazy and inspirational teachers will get the best out of you with fun activities and exercises! If you want to improve only your Spanish speaking skills then a Conversation Course is what you are looking for! You will have the chance to practise Spanish with the other students and of course our native teacher. The Conversation Courses are split in two level groups, so you always have classmates with kind of the same level. Learning a new language is a long process that you need to put time into. Let’s face it, sometimes we just want to learn some of the basics to get by. Thinking of going on a backpacking trip through South America? Would you like to be able to find the bus stop without that language barrier? Or maybe you would like to ask out that guapa Spanish woman at your gym? If so, then our two-hour workshops are the place for you!